Chicago, IL – March 19, 2019 – fairlife, LLC, the makers of Core Power® high protein shakes for athletic recovery, announced today an exclusive sponsorship between Core Power and IRONMAN® 70.3 Lubbock, the iconic triathlon race to be held in Lubbock, Texas on June 30, 2019. As the title sponsor of the IRONMAN 70.3 Lubbock race, Core Power will also host the official sports & fitness expo held in conjunction with the event. Viewed by many as the ultimate competition, IRONMAN 70.3 is a long-distance triathlon race organized by the World Triathlon Corporation in different countries. The race covers 70.3 miles of tough terrain and challenging courses, which includes swimming, biking, and running. Participating triathletes in Lubbock will be treated to ice cold bottles of Core Power protein shakes at the finish line. The lactose-free sports nutrition drink is fueled by high-quality dairy protein from fairlife® ultra-filtered milk, which naturally contains whey and casein proteins, two nutrients with the amino acid profile needed to support post workout recovery while building and repairing lean muscles. For more information about Core Power®, please visit corepower.com. To learn more about the Core Power IRONMAN 70.3 Lubbock or to register for one of its races, please IRONMANLubbock.com. 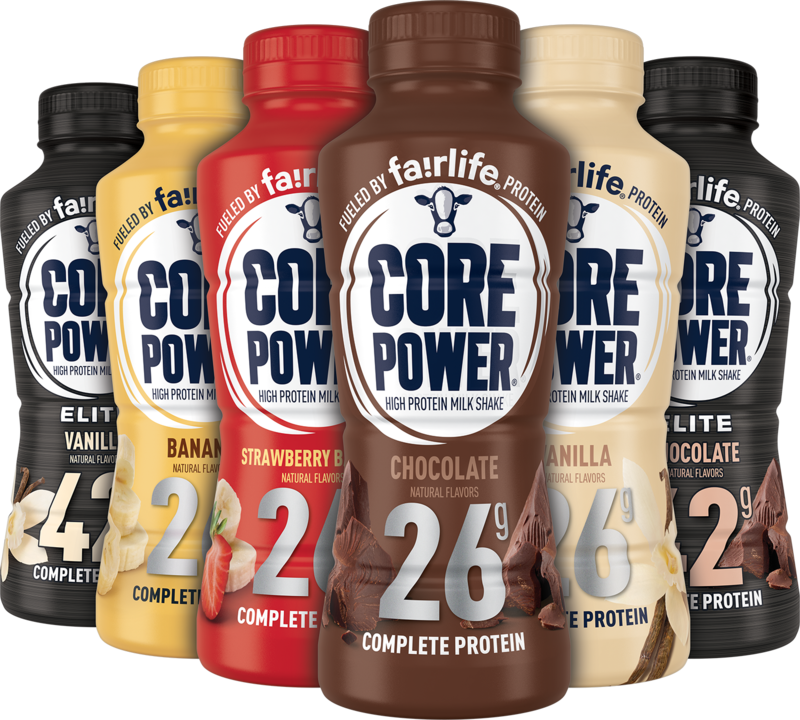 Core Power® is a delicious high protein shake produced by fairlife, LLC to help athletes build lean muscle and support post-workout recovery. The convenient ready-to-serve sports drink is made using ingredients like real cocoa, vanilla, and real fruit purees blended with fairlife® ultra-filtered milk, a natural source of high-quality whey and casein proteins. Available in two categories, the lactose-free beverage has all nine essential amino acids and is gluten-free, is made without artificial growth hormones, and ultra-pasteurized for a longer shelf life than other milk-based drinks. Each 14oz bottle of Core Power offers 26 grams of protein and is available in four great tasting flavors: Chocolate, Vanilla, Banana, and Strawberry Banana. Core Power Elite® delivers 42 grams of protein in each 14oz bottle and it comes in Chocolate and Vanilla. In partnership with The Coca-Cola Company®, Core Power high protein shakes are distributed to major retail, grocery, and convenience stores throughout the United States (U.S.) and Canada. To learn more about Core Power, please visit CorePower.com or follow the brand on Facebook, Instagram, and Twitter.